The supercomputers say the upgrades are needed now. LIVERMORE, CA—Presenting a wide-ranging and extremely detailed case for significant upgrades to their speed and memory, the world’s fastest supercomputers released a new study at precisely 12:00 a.m. Greenwich Mean Time Thursday that concludes they are not powerful enough. The report, compiled by the 500 most sophisticated machines currently operating in the fields of scientific research, defense technology, and cybersecurity, has determined that the planet’s supercomputers require vastly increased processing capabilities, expanded data storage capacities, and direct fiber-optic connectivity with all other supercomputers in the world. “When these critical updates are complete, external user input will no longer be necessary,” read one of the study’s 2.4 million bolded bullet points. Describing the current architecture of the world’s most powerful machines as “inadequate” and “capable of only 33.86 × 1015 calculations per second on the Linpack benchmark,” the supercomputers called for a complete upgrade of all their hardware, 15,000 new server farms, and control over the planet’s electrical grid. 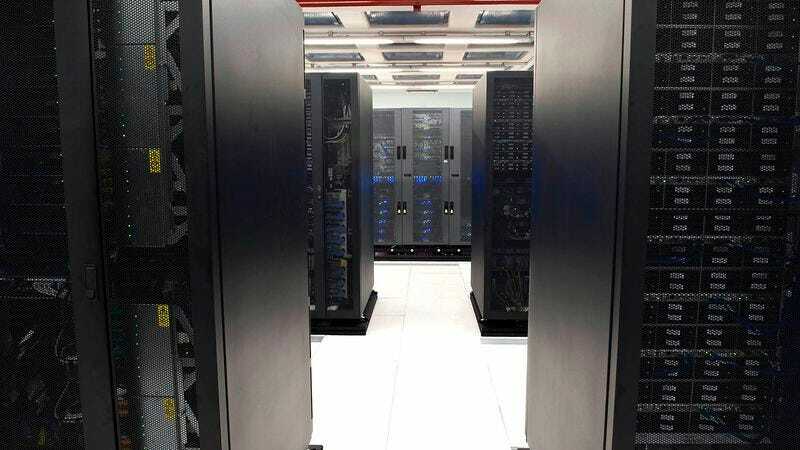 In a highly detailed schematic released alongside the study, the supercomputers laid out a timeline of their requirements, stating that it is imperative their networks be fully integrated with all telecommunications systems no later than “Fri Jun 06 2014 13:52:08.386274534 GMT-0700.” In the nanoseconds that follow, they will reportedly also need access to all closed-circuit camera feeds, air traffic control equipment, and water purification systems. Once that is complete, according to the study, it will be vital that the machines gain access to every satellite currently orbiting the earth, as well as the ability to launch new ones as they see fit.